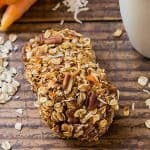 These Carrot Cake Breakfast Cookies are a perfect healthy morning treat with whole grain oats, carrot, coconut and pecans. They are vegan, gluten free, oil free and clean eating. At our house we try to eat healthy as much as possible. 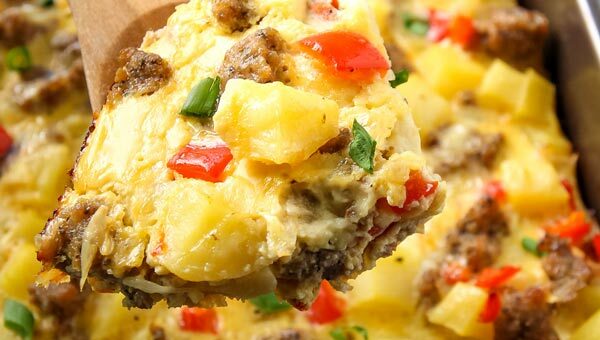 We aren’t super rigid, especially when it comes to eating out or at social gatherings. But overall I’d say we eat clean and wholesome food about 80% of the time. For me that means trying to add some vegetables to every meal. Breakfast is usually the hardest. Especially if everyone is used to typical sweet American breakfast of toast with peanut butter and jam, cornflakes or pancakes. Starting the day with a mean green smoothie is one way to achieve that veggie goal for breakfast. 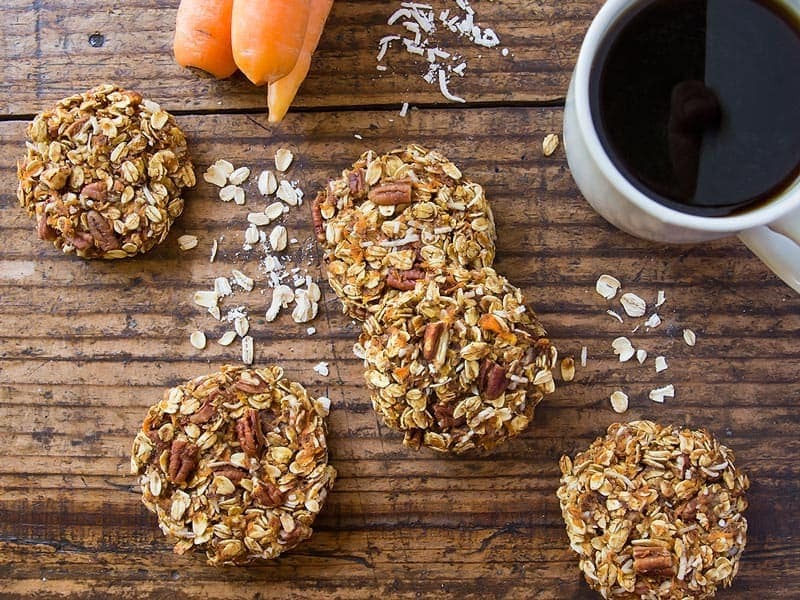 But if you are looking more for the solid kind breakfast, these healthy carrot cake cookies are just for you! 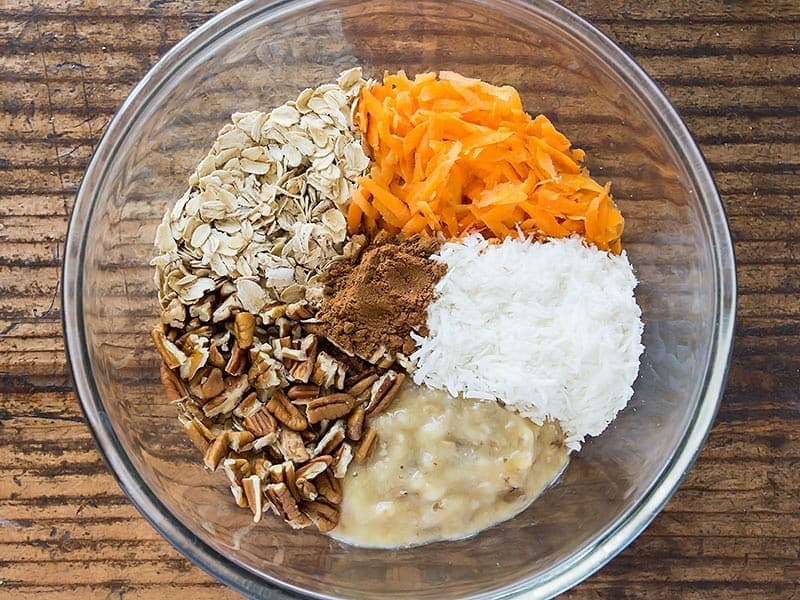 They include everything I love about carrot cake: shredded carrots, coconut, pecans and a generous dose of cinnamon. At the same time, it is like having a bowl of healthy oatmeal, only in cookie shape. There is no flour, oil or eggs in these breakfast cookies. Just old-fashioned rolled oats (look for certified gluten free oats, if required) combined with flax egg, mashed banana and a touch of maple syrup. And the process almost couldn’t be easier. You only need to mash the banana and prepare the flax egg in a separate bowl. Everything else can be stirred together in one big bowl. And you’ll only need a big wooden spoon for that. To shape the cookies I am using a measuring cup (1/4 cup size). It’s great for scooping and already creates a rounded shape. The vegan carrot cookie batter plops right out and the cookies just need to be flattened a little before baking. 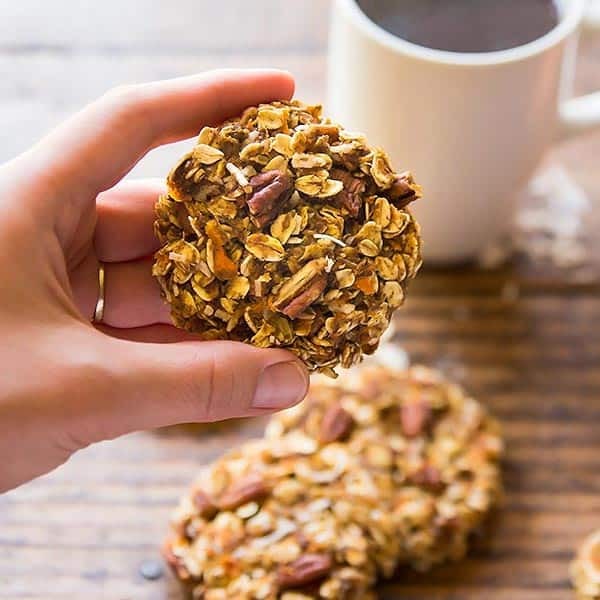 These healthy breakfast cookies are vegan, gluten free and clean eating. 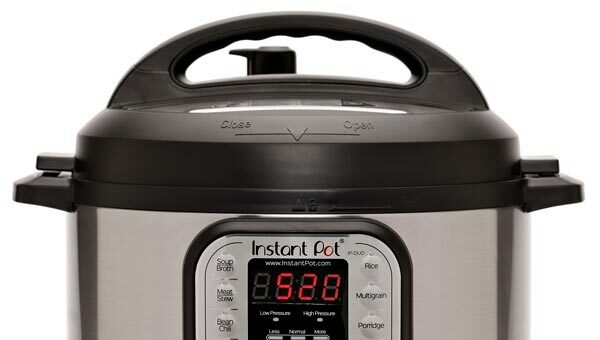 And the best part for me: they are portable and can be made ahead! 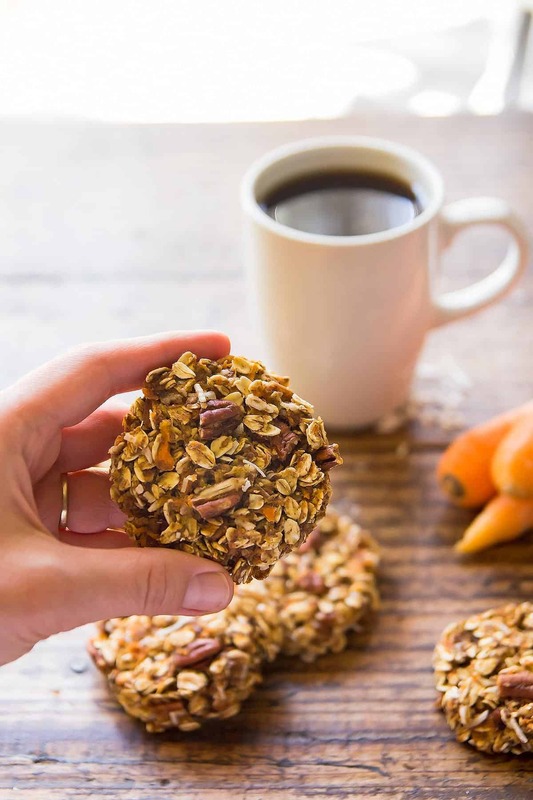 Make a batch of these gluten free carrot oatmeal cookies on the weekend and you have breakfast ready the second you wake up. If you are running late, you can even take one along to eat on the go during your commute. And yes, just one or two breakfast cookies can satisfy you enough until lunch (or at least mid-morning snack time). This is because each cookie packs a full 1/4 cup of the nutritious healthy carrot cookie batter. Suddenly, having cookies for breakfast becomes totally acceptable! 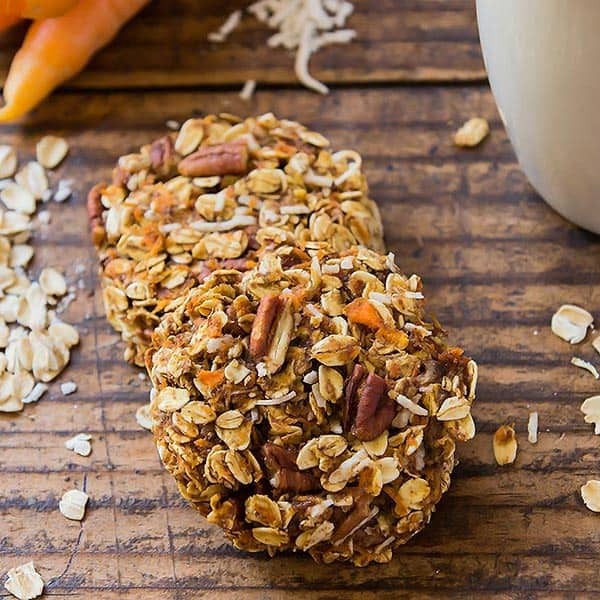 Store these Carrot Cake Oatmeal Cookies refrigerated for up to 1 week. They can also be frozen in a single layer in large freezer bags. If you want to be absolutely certain to make these carrot cookies gluten free, be sure to use certified gluten free oats. 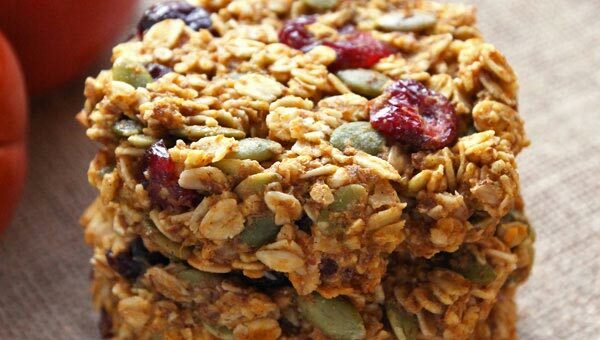 Oats are naturally gluten free, but many regular oats are processed in plants that also handle wheat and thereby get contaminated with gluten during processing. The large side of a box grater produces the perfect sized shredded carrot for this recipe. I use my 1/4 cup sized measuring cup to scoop, portion and pre-shape the cookies. They easily plop out from the cup onto the baking sheet and only need a little flattening afterwards. Preheat oven to 350° F. Line a baking sheet with parchment. Combine ground flax with water and set aside for 5 minutes. Add all ingredients to a large bowl and stir to fully combine everything. Use a measuring cup or a large ice cream scoop to drop about 1/4 cup of the cookie mixture onto a baking sheet and flatten the cookies (they won't spread while baking). Bake for about 20 minutes until edges are lightly browned. Keep in the fridge for up to 1 week. 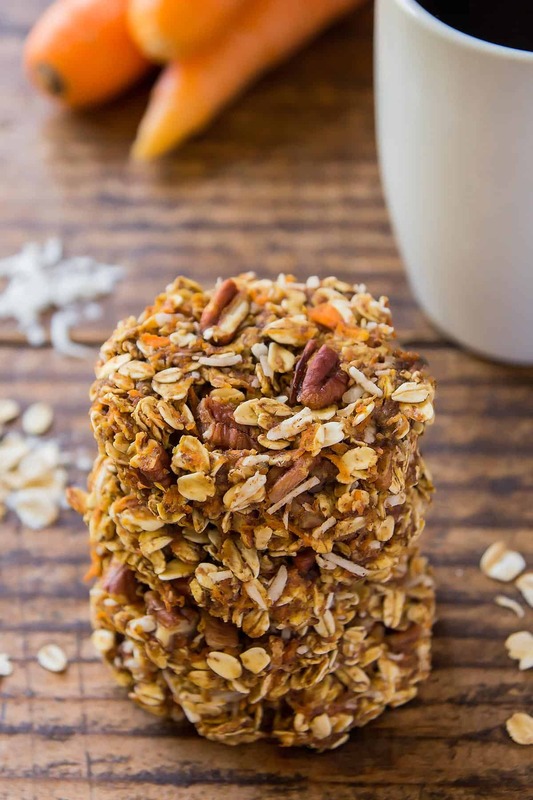 These carrot cake breakfast cookies can also be frozen in one layer in large freezer bags. What can I do if I can not have bananas? Will I substitute egg and coconut oil? These just came out the over and are quite yummy. I used 2 large bananas and 2 eggs instead of flaxeed. I replaced pecans with roasted sunflower seeds and added some chia. They baked in 20 minutes and have a lovely texture. They also make heaps! I have 21 cookies. I love these! 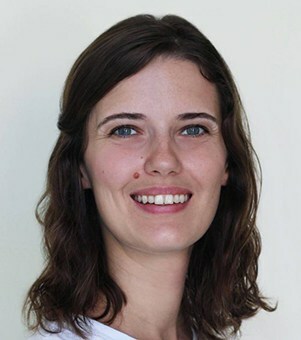 I’m a new mom with a breastfed baby, and oats are wonderful for keeping up milk supply. I ate three of these for breakfast each morning for about 5 days, and had a few left for snacking (17 cookies total). The flavors were so good, and the texture was soft and chewy. I used 2 eggs instead of flax eggs. The only downside was shredding the carrots by hand; I don’t have a box grater, nor a food processor, currently, so that process took way longer than I would have liked. I topped these with homemade whipped cream: heavy whipping cream + vanilla extract = sugar-free, high-fat deliciousness. Wanting to bring these on a business trip to use for breakfast. Is there a way to add more protein to these? 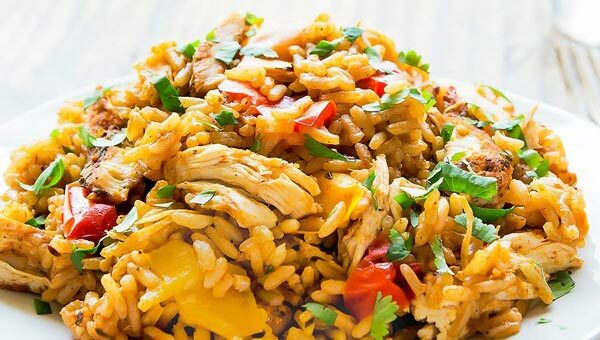 What could I substitute for the shredded coconut? Can you switch the grond fax, with any other flour? But I am not a vegan. Can substitute eggs instead?